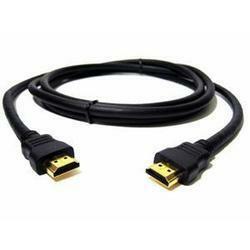 Manufacturer of a wide range of products which include everest hdmi cables. Everest Cables range of Standard and High Speed HDMI Cables with Ethernet Capabilities. Owing to our expertise in this domain, we are offering our clients a supreme quality HDMI Cable. This product is manufactured using high quality raw material & designed according to international quality standards. The offered cable can be customized as per the precise requirement of clients at affordable prices. Further, our quality controllers firmly check the product to ensure flawlessness. Looking for HDMI CABLES ?